FacilitiesThe hotel is the perfect choice for business travellers and holiday makers alike, offering a wide range of services and facilities for a comfortable stay. The hotel offers various services and facilities for a comfortable and relaxing stay, including internet access and wireless internet access.RoomsAll rooms feature air conditioning and a bathroom. Cots are available for children. 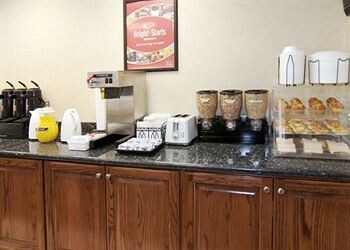 All accommodation units offer a microwave, internet access and wireless internet access. A hairdryer can also be found in each of the bathrooms. MealsBreakfast is bookable as a board option.